Say the name Danielle Balbuena and it would most likely not ring a bell but it might shock you to learn that the name is the birth name of 070 Shake, the female rapper and singer from New Jersey who shot into the mainstream in early 2016 with her song Trust Nobody. She has gone ahead to associate herself with big acts in the industry, from Kanye West to Nas and Pusha T. Shake has a couple of Extended Plays under her belt and is still going strong with her fanbase enjoying an exponential increase. Discover more about her in the paragraphs that follow. As mentioned above, 070 Shake’s birth name is Danielle Balbuena and she was born in North Bergen, New Jersey, the United States on the 13th of June 1997. Information about Shake’s upbringing is hard to come by; however, it is a detail that will eventually make it to the media light as she continues to remain relevant in the industry. Shake’s first love was poetry and like most poetry lovers who also have an ear for music, she gravitated towards rap music and in late 2015, she went official with her music career and began recording songs of her own. She started her career by becoming part of the New Jersey music crew, 070, who got their name from New Jersey’s zip code. She just added the word Shake to the code to get her moniker. 070 Shake began recording her music independently and posting them on SoundCloud and fortunately, she became one of those upcoming rappers who’d come to have the platform to thank for their breakthrough. She posted songs like “Proud” and “Swervin” but it was the former that caught the fancy of music promoter YesJulz. YesJulz who is also a social media personality slid into her Twitter and requested to be her manager. Gladly, Shake accepted and that would become her first major step to her big break. Subsequently, her songs on SoundCloud began to gain huge traction with the number of streams growing at a fast rate. Thanks to the Miami-based YesJulz, 070 Shake got the big leap of her career; Julz was able to bring her to the notice of Pusha T (the president of Kanye’s GOOD Music label) who like Julz was smitten by her work. Julz had played Shake’s songs to the hearing of Pusha T during a fitting session of Kanye’s Yeezy shoe line. Pusha T wasted no time in signing her to GOOD Music record label. Shake would come to join big names like Big Sean, Cyhi The Prynce and Teyana Taylor as part of those signed to the label. It didn’t take long for 070 Shake to leave her mark on the label. Following the release of her 6-track EP, Glitter (released in March 2018), which was her debut solo effort, she went on to leave an indelible mark on Kanye West’s 2018 album, Ye. 070 Shake featured on tracks like Ghost Town and Violent Crimes, causing a stir among music critics with one critic, Michael Sapanora, going as far as commenting that the two tracks were the “stand out” cuts of the album. Later, the HotNewHipHop added that Ghost Town was the album’s climax. 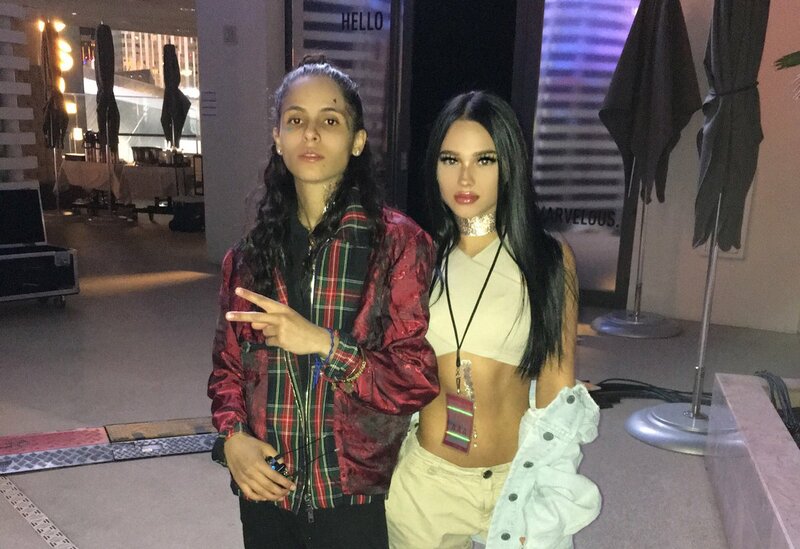 070 Shake continues to work on her music as well as collaborate with other acts. 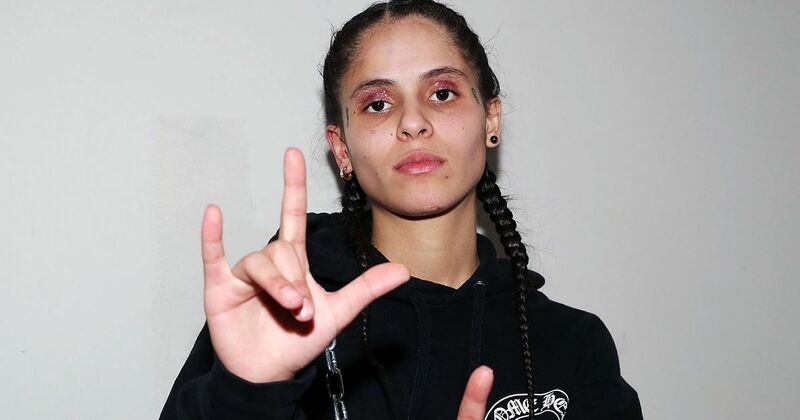 070 Shake has so far not let out details regarding her family, however, taking a cue from her teenage years which were marred with drug use and self-esteem issues as revealed in her lyrics, one can assume that the rapper had a rather troubling upbringing. Hopefully, she’d feel the need to share details about her heritage with the general public in the nearest future. 1. Shake is a lesbian, a fact that comes as no surprise as she uses the female pronoun to refer to her love interest in her music. She is in a relationship with the model, Sophia Diana Lodato. 2. For Gypsy Sport’s Fall 2017 runway show, 070 Shake featured as one of the models. 3. The songs Shake wrote for her EP Glitter had themes of self-esteem, drug use, and sexuality. She would later come to explain that the album was about trying to find oneself and figure life out from a dark place. 4. 070 Shake grew up listening to songs by Kanye, Kid Cudi, and Michael Jackson. 5. Shake doesn’t go to the studio with prewritten lyrics but relies on her feelings per time for words.